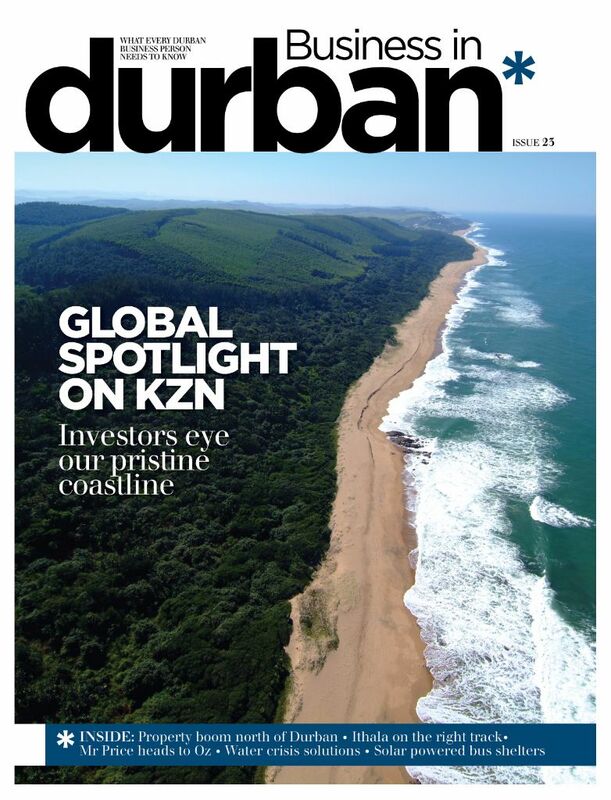 Join the Durban Chamber of Commerce and Industry for the Environmental Affair Business Forum as they discuss Effective Air Quality Management and Greenhouse Gasses brought to you by Durban Chamber of Commerce and Industry, Norton Rose Fulbright and Environmental Resources Management (ERM). 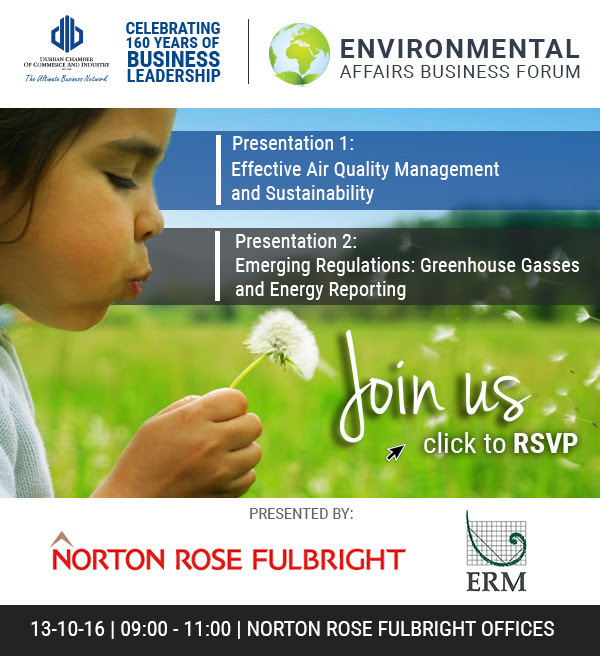 Norton Rose Fulbright: Thornton-Dibb – Effective Air Quality Management and Sustainability. This will include the regulatory framework, holistic air quality management, the Paris agreement and the impacts on business. Environmental Resources Management (ERM): Andrew Gemmell – Emerging Regulations: Greenhouse Gasses and Energy Reporting.